Home/Courchevel, La Tania, Les 3 Vallees, Ski School, Skiing and Snowboarding/La Tania Lift Passes – Complete Beginner? In Lessons? 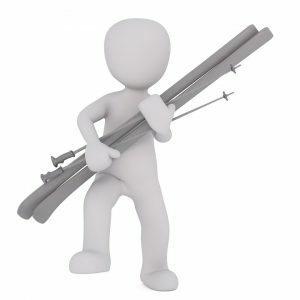 – Check with your ski or snowboard school to find out which lift pass you need. If this is your first winter holiday we do suggest you try and have a couple of lessons at your dry ski slope or snow dome before your holiday to make the most of your time on the real stuff. 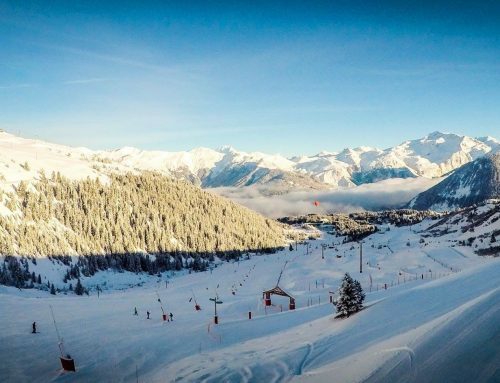 If you are completely new to your chosen sport then you may not need a lift pass for the first day or two as the La Tania nursery slope is free. For those that are generally sporty and confident after a day or two you may wish to have a Courchevel lift pass, as then you can have easy access to the runs of Courchevel, especially as 50% of the area is gentle greens and blues with special fun “Easy rider” areas. For those that may be nervous or need a little more nurturing, two days or more on the nursery slope is more appropriate. Once you feel you have mastered staying on your feet (!) you may wish to get a 1-up the La Tania lift (1 troncon/section) or an Easy Rider pass (La Tania lift as many times as you want plus some lifts in Courchevel Moriond, Courchevel Village and Courchevel 1850). After this a Courchevel lift pass is suggested to make the most of your stay. If you get tired when in any area of Courchevel there is a free bus back to La Tania once an hour!